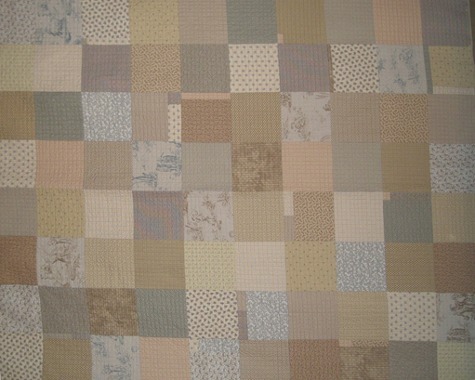 Description: Cottage French is a great quilt to freshen up any room and it's very easy to make! The light, neutral prints are soothing and the simple piecing makes this a quick-to-finish project. Consider backing the quilt with a printed designer panel as I did and you will instantly have a reversible quilt!